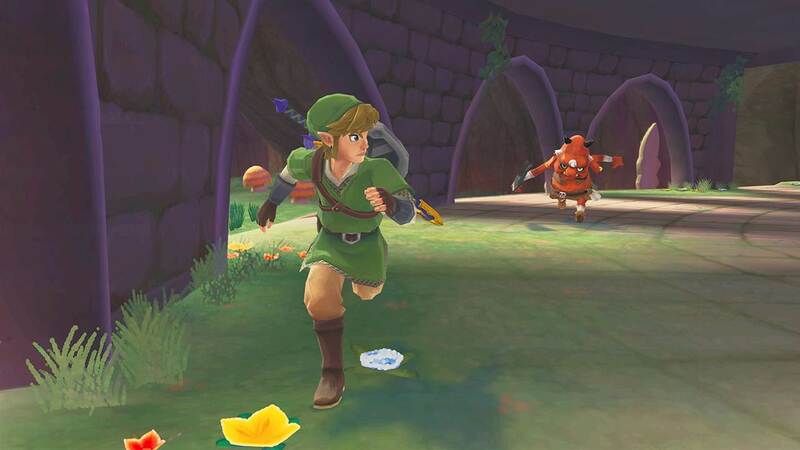 The Legend of Zelda: Skyward Sword, Nintendo’s upcoming installment in the legendary Zelda series, has received its first two official reviews from Official Nintendo Magazine and gaming magazine Edge, and both have rewarded it stellar scores. Official Nintendo Magazine rewarded the game with an impressive score of 98%, and Edge gave it a 10/10- a rare occurance, since Edge rarely ever gives games perfect scores. Very impressive. It’s hard to imagine that a single Zelda game can be better than the likes of Ocarina of Time, Wind Waker, A Link to the Past and so many others- all of which are some pretty legendary games. “How apt that this ultimate tale of hero-making should see Nintendo’s hardware become the console it was always meant to be,” the review says. Okay, now Skyward Sword has my full attention. This game looks brilliant. Skyward Sword releases next month for the Wii. Stay tuned for more info.